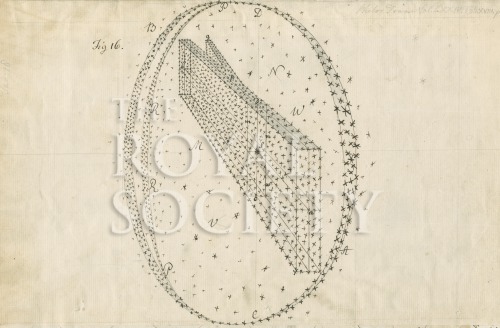 Plate 18 figure 16 for the paper “Account of some observations tending to investigate the construction of the heavens”, by William Herschel, Philosophical Transactions of the Royal Society, vol.74 part 2 (1784), pp.437-451. A demonstration that an observer within the Milky Way galaxy “will see all the stars in the direction of the planes of the stratum projected into a great circle, which will appear lucid on account of the accumulation of the stars...” and explaining the scattering of stars forming the constellations. Not signed. Philos. Trans. Vol.LXXIV Tab.XVIII p.